This was one of their tweets tonight. Two Class 710s out on the WCML tonight and they’ve allowed onto the fast lines as well with no shadowing ROG diesel! Things are looking up! TfL and Bombardier are being increasingly brave with where they are taking the trains. Pictures have been taken of Class 710 trains in these places. During the day at Gospel Oak, Walthamstow Queens Road and Upney. As a software man of at least forty years experience, I wouldn’t be surprised to be told, that the important train control software is now working as it should in most situations. And in those situations where it doesn’t work, Bombardier have probably got a work-round. Even if it is stop and reboot! We’re all familiar with that on our desk- or lap-tops. It would mean a trained technician on each train, but as there are twenty trains al;ready built, testing and driver training can continue on as many trains, as can be accommodated on the various test tracks and routes. As I have said many times, there has been a major failure on the part of all European train manufacturers and governments, to make sure there is enough testing facilities for all the trains ordered from European manufacturers in the last few years for both Europe and export. Software needs a lot of testing and with desktop software, you need to have tens of testers, each with their own installation. Why should trains, which these days are just computers on wheels be any different? I suspect that the cabs and control systems in the various classes of Aventra, with the exception of the Class 345 train, are identical. Bombardier have said the the 345s have an older computer architecture based on the Electrostar. Having the same software on every Aventra must make testing and acceptance into service so much easier. The software would be configured for the each train size and application. I wouldn’t be surprised, if Bombardier retrofitted the 345s with the computer system of all other Aventras. Identical computer systems across all Aventras would have benefits for Bombardier. A mixed fleet of Aventras of different sizes and performance could be driven by all drivers, with the appropriate route knowledge. New versions of the software could be distributed automatically over the Internet. It would be easier to add new hardware and software features to the trains. Aircraft manufacturers like Boeing and Airbus have been using similar philosophies for years. If I’m right about this, I would expect to see the following after the 710s are working reliably on the GOBlin and the Watford DC Line. A rapid introduction of the 710s on the Lea Valley Lines limited only by train testing and mileage accumulation, and driver training. The next fleet of Aventras start to be tested for another operator. Bombardier are gearing up for high production rates of Aventras, so there will not necessarily be serial production of fleets. London Overground might take the initial twenty and run them for a year to ascertain any small design changes they need, which will be incorporated into the rest of the trains. Greater Anglia may get some of their fleet, so they can train drivers and see what changes are needed on their platforms etc. I actually think, that train companies would like to call off trains from Bombardier at a rate that they can bring into service. As Bombardier are producing a large number of very similar trains, they can then build them in the order that suits their customers and Bombardier’s cash flow. But to do this successfully, you need orders for a large number of similar trains! You might think what is the connection between a radical design of train and the withdrawal of the UK from the European Union. Both are projects that their promoters would say will create a Great-Leap-Forward for Bombardier and the UK respectively. Bombardier’s engineers and software developers can’t get software for the Aventra and particularly the Class 710 train for the London Overground, working in the way the train and its operator need. UK and EU politicians, aided by some of the most able and expensive lawyers and consultants, can’t stitch together a workable Brexit agreement that is acceptable to all. Does this mean that both projects are doomed? Were The Original Plans Creditable? I’ll take the Aventra first. Bombardier had missed out on the Thameslink contract and needed to win the Crossrail contract to survive. So virtually starting with a clean sheet of paper and knowing very well what technology was the best and could be used to advantage, set about designing a train that could adapt for every possible use. Bombardier also spoke to all those, who would be using or dealing with the trains in some way, to ascertain what they needed. The result was that Bombardier won the Crossrail order and have since sold fleets of Aventras to London Overground, Greater Anglia, South Western Railway, West Midlands Trains and c2c. It should also be said that they probably sold some of these fleets before a large number of Aventras were actually running. So at least Bombardier’s plans appeared sufficiently detailed and creditable to six train operating companies. Brexit was sold to the British public, in much the same way that evangelists sell you the latest religion, political philosophy, magic cancer cure or con. Is there any difference between the four? Was any thought given to the serious problem like the Irish border? If anything was, I don’t remember hearing or reading it! The major policies I remember was that all the money we give to Europe will go to the NHS and that immigration will be cut to almost zero. Everything that said you should vote Remain was dismissed as Project Fear! But the philosophy was enough to win the referendum. The Leavers would have lost, if they had got the estimates of any of these wrong. The power and delivery of their philosophy. iThe hatred of all things European, except holidays in the sun. The weakness of the Remainers message. It was an easy sell and a majority of the British public bought it. Forty years ago, when we created Artemis, we followed a route similar to Bombardier with the Aventra, but on a much smaller scale. We did an extensive survey of users of Project Management Systems. We laid out our objectives, which I have somewhere on a single A4 sheet of paper. We researched and defined what hardware we would need. I was then able to program the first system. And guess what! The software was late, by several months. But at least, when I got it right, systems were able to be delivered. And the orders started to flow! Based on my experience, the software that runs the Bombardier Aventra will be the biggest risk in the design of the train. If I’d put this risk to the engineer in charge of Aventra development, I would have been very surprised, if they didn’t agree. Bombardier will probably do what I did forty years ago. Keep at it, until the software is perfect and the Class 710 trains run as it says in the brochure. As happened with Artemis, once you have one system going, on the signing off of the software, you can create other systems or in Bombardier’s case; trains. Bombardier can add the software to the scores of trains they have already built and stored and start testing, certification and delivery of individual trains. Software, is like a magic elixir, that brings inanimate objects to life. Will a magic elixir be found to solve the Brexit logjam? Bombardier have to create software, that does the following. Controls all parts of the train, so they do as promised. Connect all train systems together. The software must also work flawlessly. It only needs to work in one language. The philosophy and structure for a Brexit deal are more complicated. There are a lot more issues to be solved. Twenty-eight countries, their governments, parliaments and people must be satisfied. How many languages will be involved? Anybody, who reckons they could get a deal is probably a fantasist. We knew that there was a need for a small Project Management System. But look at the date we started development; 1976. James Callaghan had just taken over from Harold Wilson as Prime Minister. The country was not doing well. The government didn’t have a large majority. Everything was doom and gloom. Tax rates were as high as eighty percent. There was a housing crisis. Many were worried about their jobs. There was a lot of industrial unrest. Surely, it wasn’t the time to risk all on a new venture? But we were not of the herd and we didn’t hold back and went for it. And the rest as they say is history. It is now 2019 and many of the issues I listed about the mid-1970s still apply. The country is not doing well. The government doesn’t have a large majority. Everything is doom and gloom. There is a housing crisis. Many are worried about their jobs. But there is one big difference. If you have an idea that is worth developing, raising money to develop it, is a lot easier to find. To me, Brexit is a once in a lifetime opportunity for many to develop an idea and/or create a business to overcome the myriad number of problems leaving the EU will bring. As leaving the EU without a deal will create more problems, it might be preferable for job creation. Brexit may also create opportunities in Europe for new and innovative businesses. It will be large industries, that will find times harder. Since Monday, I have taken four trips on the Gospel Oak to Barking Line, with two in the Class 172 trains and two in the four-car Class 378 train. The only problem I’ve seen was at about two on Tuesday afternoon, where the platform at Blackhorse Road station was jam-packed and the next train was a 172! There has been no reports in the media; good, bad or indifferent. RidingTheGoblin on Twitter has been reporting no problems. It looks to me, that the passenger experience will only get better for the next few weeks as two other four-car Class 378 trains replace two Class 172 trains. That should take everything to mid-March. So that gives Transport for London and/or Bombardier six weeks to rustle up some more trains. If Class 710 trains are delivered in time, drivers will have to be trained, so this would put at least a week or so in the critical path. Services could be reduced elsewhere on the Overground and more Class 378 trains introduced. There is only one four-car train and judging from the effects I’ve seen with this single train, an all four-car fleet will mean that the capacity on the line will be very lsrge. Will it encourage more to use the line? As to the future, it’s going to be a close-run thing. My money is on Bombardier delivering the Class 710 trains. They have most to lose and it’s their fault! It has been well-publicised that Bombardier are having problems getting their new Class 710 trains working reliably for service on the Gospel Oak to Barking Lines. In the February 2019 Edition of Modern Railways, there is an article written by the well-respected Roger Ford, which is entitled Train Makers Face ‘Year Of Truth’. Roger makes a succession of important points about Bombardier and Aventras in particular. While reliability continues to be poor, software issues have been largely down to signalling interfaces at the western end of Crossrail. Production appears to have been paused at 57, with perhaps 37 accepted. For the Class 345s, Transport for London specified an evolution of the Class 378 ‘last generation’ software. However the units for London Overground and Greater Anglia, and the other Aventra contracts for delivery beyond 2019, are true next generation trains with a new ‘family tree’ of software. So it would appear that Class 345 and Class 710 software problems could be unrelated! My experience of putting together large complicated software systems over forty years, leads me to add these two statements. If the base hardware has been thoroughly tested and put together in a professional manner, it will be very rare for the software to not work on one set of hardware and work perfectly on several dozen other sets. You can’t do too much testing; both of the hardware and the software, both on test systems and in real-life scenarios. I don’t know anything of the computer hardware structure and its connectivity on Aventras, but I wouldn’t be surprised if a lot has been lifted straight out of the aerospace industry, in which Bombardier has a substantial presence. Borrowing proven techniques and hardware will hopefully reduce the risk. The major risk will be the software that is totally new and unique to the Aventra. So to me, it is not surprising that the complicated signalling on Crossrail, has been the major trouble on the Class 345 trains. In this article on Rail Magazine, which is entitled Gospel Oak-Barking Fleet Plan Remains Unclear, this is a paragraph. London Overground was due to put new Bombardier Class 710 electric multiple units into traffic on the route from March 2018, with a full rollout by May. However, problems with the Train Control Management System (TCMS) has so far prevented this. I suspect that the TCMS is totally new and unique and has a level of complexity much higher than what is used in the Class 345 train. It will have the ability to test all the trains sub-systems on a continuous basis. The TCMS will be an important part of the train testing process, which is why I have listed it first. The TCMS will control 25 KVAC overhead and 750 VDC third rail power collection. It will control the energy storage, that is reputedly fitted to the train. It will handle regenerative braking using the energy storage. Electricity usage will be optimised. It will control all the displays and systems throughout the train. It will interface to the signalling system. It will communicate train status and faults back to the depot. I also suspect that every Aventra will have the same TCMS, which will probably be compatible with the proposed 125 mph bi-mode Aventra. This is not a new concept, as in the 1980s, Boeing 757 and 767 aircraft had identical cockpits, flight control systems and a common rating for pilots. The Aventra has been described as a computer-on-wheels. Could it also be described as an aircraft-on-rails? When I was growing up, all new trains, aircraft and vehicles were generally fully described with detailed cutaway drawing in a comic called Eagle. Bombardier have seemed to be very reluctant to give details about what lies under the skin of an Aventra. Could it be very different to all other trains? There is one big disadvantage about having a common TCMS, in that, it requires a very high quality of software design, programming and testing and that any lateness in the software delays the whole project. Roger says this about the delayed Class 710 trains for the Gospel Oak to Barking Line. According to,Bombardier, delivery of the Class 710 fleet is now due to be completed by the end of 2019. Given that the original date was September 2018, this is 15 months late. But with large numbers of Class 710 vehicles in storage, it also seems unduly pessimistic. Roger does not have a reputation for looking on the bright side of life, so when he says that the schedule is unduly pessimistic, I give that a high chance of being right. Surely, when the final approved version of the TCMS software is delivered, all of those trains in storage can be woken up, tested by the TCMS software then go through a pre-delivery check with the appropriate level of trouble-free running. It’s a bit like having a new PC on your desk. You can’t really use it, until the software you need to do your job is installed. But as the software will be designed for your PC and has already been fully tested, it is unlikely to be a traumatic operation. It appears to me, that the more comprehensive the TCMS software, the quicker it will be to take a train from manufacture to ready for service. 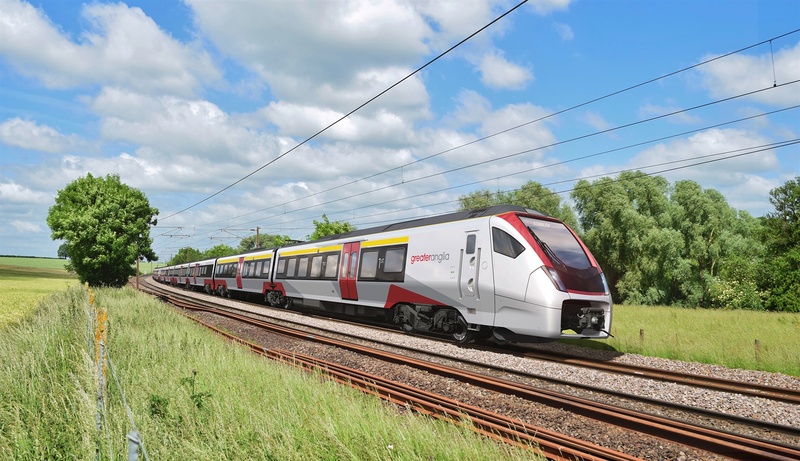 Bombardier are already building the Class 720 trains for Greater Anglia. Are these just being checked and tested before being put into store? As with the Class 710 trains, will they be woken up using the same final fully tested version of the TCMS software? I would be very surprised if the software on the two trains used different versions of the software. When I was writing Artemis, we had two versions; one for single users and another for multiple users. The software for both was identical and it worked on two different operating systems. That is one of the advantages you get with well-written software. Hence my belief that all Aventras have a common TCMS software. The article says that Bombardier are gearing up to have six Aventra production lines in Derby, which would mean they can turn out 24 vehicles a week. That is a high production rate, which would mean that the 222 vehicles for the London Overground could be built in under ten weeks. Bombardier must be expecting a lot of orders! Who’d have thought that two thirty-year-old British Rail-era electrical multiple units, would be fighting in the same market for bi-mode trains to replace diesel multiple units? Class 319 trains started life as four-car dual-voltage electrical multiple units for Thameslink and Porterbrook are now converting them into four-car electro-diesel multiple units, which have been given the TOPS classification of Class 769 trains. Class 321 trains started life as four-car 100 mph electrical multiple units for East Anglia and Eversholt and Alstom are now converting them into hydrogen-powered multiple units, which have been given the name of Breeze. So how does a Class 769 compare with an Alstom Breeze? This article on Rail Engineer, which is all about the Class 769 train, is entitled Bi-Mode Good, Tri-Mode Better. The title says it all about the ability to work from three different power sources. Onboard power from two diesel generators. This must have impressed Great Western Railway as they’ve ordered nineteen trains. Nothing has been directly said, about whether an Alstom Breeze can use electrification, but as the partially-electrified Liverpool to Chester route has reportedly been chosen as a test route, I would think, that the ability to use electrification is very likely. In the Rail Engineer article, this is said about the operating speed of a Class 769 train. Modelling has shown the gradient balancing speed on a flat gradient when powered by the diesel engines to be approximately 87 mph and the trains will retain the 100 mph capability when powered by electricity. Alstom are claiming 87 mph on hydrogen power. My brochure for a Class 769 train, says this about the operational range of the train. Class 769 could operate the route between Manchester and Buxton and achieve timings equal to a Class 150. The Class 769 unit would have the capacity to make five return trips per day for two days before refuelling is required. This is a total of about 540 km on a route, which climbs three hundred metres with twelve stops. Alstom quote the Breeze as having a range of a thousand km. But over what sort of terrain! This doesn’t appear to be an equal comparison. So perhaps the Buxton trials should be undertaken! The Class 769 train runs partially on diesel fuel, which makes the train easy to refuel. The Alstom Breeze needs a hydrogen supply, which can either be sourced from a piped or tanked supply or a local hydrogen generator. I believe that as Alstom are going down the hydrogen route, at least on a Europe-wide basis, that the provision of hydrogen, will not be a large problem. When they were built, I suspect that as both trains had a lot of 2+3 seating, that the capacity of both trains was very similar. My brochure for a Class 769 train shows a suggested layout with 12 First Class seats, 255 Standard Class seats and a Universal Access Toilet. In Hydrogen Trains Ready To Steam Ahead, I estimated that a three-car Alstom Breeze would have a seating capacity of around 140 seats, with the ability to perhaps take an additional 160 standees. I also believe that longer versions of Alstom Breezes are possible, with the addition of trailer cars. I estimate capacities, which would include standees could be. Both Class 769 trains and Alstom Breezes would appear to have sufficient capacity for typical routes. I have not heard either train in action, as neither is in service yet. This article on Rail Engineer is entitled Class 769 In Action. This is an extract talking about the noise and vibration of a Class 769 train. There was no need to worry; just walking through the car park with the train alongside was a revelation. The two idling MAN diesel engines were almost purring; none of the ‘rattling’ that one is used to from older diesels and no visible exhaust either. A conversation at normal volume was easily possible, sitting on the benches outside the café just four metres away from the train. As to the Alstom Breeze, it is likely to be a near-silent train, if my rides in battery-powered trains are anything to go by. The Alstom Breeze has a zero carbon footprint, whereas the Class 769 train will produce some carbon dioxide, as it’s partially diesel-powered. The Alstom Breeze has the possibility of running using hydrogen produced by a zero carbon method, such as the electrolysis of water or brine using electricity from a renewable source such as geothermal, solar, water or wind power. Both trains effectively recycle existing trains, that would otherwise be scrapped or sold off to an operator in the Developing World. Both trains have their good points and both should find a niche market in the UK, as the Class 769 train already has with four orders for a total of thirty-nine trains. In addition, the Alstom Breeze is a demonstrator for the company’s hydrogen technology in a train for a UK-sized rail network. I would not be surprised, if the Breeze is successful, to see Alstom develop a family of trains based on the technology. They would have the following characteristics. Modern well-designed interiors with everything passengers, operators and staff want and need. I can also envisage a complete package being offered to railways in a country like Ireland or New Zealand, to run hydrogen-powered trains on a route that is currently not electrified. By good design, I feel that the only difference between standard, Irish and narrow gauge versions would be a change of bogie. Bombardier are proposing a 125 mph bi-mode Aventra, which I talked about in Bombardier Bi-Mode Aventra To Feature Battery Power. Bombardier obviously have extensive mathematical models of the Aventra and just as this has led to a 125 mph bi-mode Aventra, I believe that if it is possible, Bombardier will propose a bi-mode train with the following characteristics. 100 mph on both diesel and electric power. There will be plenty of applications for this bi-mode train. It is interesting to note, that Bombardier have dismissed hydrogen as a fuel. Could it be, that their modelling has shown, that the large tanks for hydrogen make a new-build hydrogen-powered bi-mode train an unviable proposition? Diesel on the other hand is a much more convenient fuel. It is going to be an interesting fight between, diesel and hydrogen bi-modes to determine the future of the rail industry. It is a tribute to the much-maligned British Rail, that the first major battle between the two fuels is being fought using rebuilt thirty-year-old trains built by British Rail Egineering Limited. Some applications will be ideal for hydrogen and others will need diesel. But as battery technology improves and electrification increases, it is likely that the need for hydrogen and diesel will decrease. Chris Stokes finishes his column in the January 2019 Edition of Modern Railways, with this paragraph. Dwell times remain critical too. The new TransPennine units provide more seats, but have single end doors. For an operation with high numbers joining and alighting at many stops, dwell times are going to increase significantly at stations such as Manchester Victoria, Huddersfield, Leeds, Boltonand Preston, chewing up any savings in running times, and exacerbating the problems at platforms 13 and 14 at Manchester Piccadilly. I haven’t seen a TransPennine Mark 5A coach in the flesh yet, but I’ve seen several pictures, which show each coach has single end doors. This picture of the 100 mph Class 755 train shows the door layout is totally different. It looks like it has a single double door on each coach. It appears that the electric Class 745 trains have more doors. If you look at a typical Bombardier Aventra or Electrostar, Stadler Flirt or Siemens Desiro City, there are generally no end doors. Have CAF commited a design crime of the highest order? Or is it TransPennine’s fault? Two and a half years ago, I wrote Will London Overground Fit On-board Energy Storage To Class 378 Trains?. This post effectively updates that post, with what we now know. As far as I know, batteries have not been fitted to the Class 378 trains, but there have been other developments involving Bombardier since. The linked post was based on statements by Marc Phillips of Bombardier in this article in Rail Technology Magazine entitled Bombardier enters key analysis phase of IPEMU. He also said about Aventras. Bombardier is also looking at battery options on new builds, including its Aventra platform. I have stated several times including in Rail Magazine, that the Class 345 trains for Crossrail must have batteries and no-one has told me that I’m wrong. The Rail Technology article also says this. Bombardier has started assessing potential customers for battery-powered trains, looking first at branch line applications. Batteries could be a solution allowing non-continuous electrified infrastructure, and emergency rescue and last-mile opportunities. The article was written three and a half years ago and I suspect Bombardier have been busy researching the technology and its applications. This train was first reported to be in development in this article in Rail Magazine, which was entitled Bombardier Bi-Mode Aventra Could Feature Battery Power. The article stated the following. Battery power could be used for Last-Mile applications. The bi-mode would have a maximum speed of 125 mph under both electric and diesel power. Bombardier’s spokesman said that the ambience will be better, than other bi-modes. I very much believe that the key to the performance of this train is using batteries to handle regenerative braking in both electric and diesel modes. In Mathematics Of A Bi-Mode Aventra With Batteries, I looked at how the train might operate. Bombardier with better data and the latest mathematical modelling techniques have obviously extensively modelled the proposed trains and prospective routes. No sane company listed on a Stock Exchange would launch such a product, if it didn’t know that the mathematics of the dynamics and the numbers for the accountants didn’t add up. In Have Bombardier Got A Cunning Plan For Voyagers?, I discuss a snippet found in the July 2018 Edition of Modern Railways, in an article entitled Bi-Mode Aventra Details Revealed. In a report of an interview with Bombardier’s Des McKeon, this is said. He also confirmed Bombardier is examining the option of fitting batteries to Voyager DEMUs for use in stations. Batteries appear to be being proposed to make the trains more environmentally-friemdly and less-noisy. Bombardier have launched a version of their Talent 3 train with batteries. This is the launch video. Some of Bombardier’s points from the video. The range will be extended to a hundred kilometres by 2020. Charging for forty kilometres takes between seven and ten minutes from overhead electrification. This looks to be a serious train with orders from German train operators. It would appear that Bombardier are very serious about the application of batteries to both new and existing trains. What could batteries do for the Class 378 trains? It looks like over the next few years, the Class 378 trains will be increasingly used on the East London Line, as they have the required evacuation capability for the Thames Tunnel. Various documents indicate that to maximise capacity on the line, the following may happen. Trains may be lengthened to six-cars from five-cars. Extra destinations might be added, but although this could be easy in South London, it would probably require a lot of station or platform development in the North. If you look at the timing of the East London Line, you get the following journey times for the four routes. It could almost have been choreographed by Busby Berkeley. This means that to run four tph on the routes needs the following number of trains. Which gives a total of 28 trains. To make all these services six tph, would require the following number of trains. Which gives a total of 42 trains. At present only the Crystal Palace and Clapham Junction routes have dates for the extra trains and if only these routes were increased in frequency, there would be a need for 36 trains. The trains might also go to six cars to increase capacity on the East London Line. As I indicated in Will The East London Line Ever Get Six Car Trains?, cars could be used from the five-car trains not needed for the East London Line. You would just end up with a number of three- and four-car Class 378 trains, that could be used on other routes with less passengers. My conclusion in Will The East London Line Ever Get Six Car Trains? was this. It will be interesting to see how London Overground, increase capacity in the coming years. There are fifty-seven Class 378 trains in total, which have the following formation. They can be lengthened and shortened, by adding or removing MOS cars. As an extra MOS car was added to convert all trains from four-cars to five-cars a few years ago, I suspect it is not the most difficult of processes. It should also be noted that the original three-car trains for the North London Line had the following formation. If all East London Line routes go to six tph, the required number of trains would be forty-two. This would leave a surplus of fifteen trains to act as donors for lengthening. To make all trains six-cars would require a further forty-two MOS cars. Reducing the trains not needed for the East London Line to three-cars, would yield thirty MOS cars. This could give the following fleet. To lengthen all trains needed for six-cars would require another twelve MOS cars to be obtained. Some services could be run with five-car trains, but I don’t think that be a good idea. I am inevitably led to the conclusion, that if the the Class 378 trains need to be extended to six-cars, then Bombardier will have to produce some more cars. Batteries would be added to Class 378 trains for all the usual reasons. Handling energy from regenerative braking. Health and safety in depots and sidings. But there might also be another important use. The Thames Tunnel is under five hundred metres long. As the only trains running through the tunnel are Class 378 trains, it might be possible and advantageous to run services on battery power through the tunnel. I will estimate the kinetic energy of a six-car Class 378 train, as the batteries must be able to handle the energy of a full train, stopping from maximum speed. The maximum speed of the train is 75 mph. The train will hold 1050 passengers, who I will assume each weigh 90 Kg with baggage, bikes and buggies. This gives a fully loaded train weight of 286.5 tonnes. Using the Omni Kinetic Energy calculator gives an kinetic energy of 45 kWh. If four 100 kWh batteries can be fitted under a two-car Class 230 train, then surely a reasonable amount o capacity can be fitted under a six-car Class 378 train. These pictures show the under-floor space on a dual-voltage Class 378/2 train. As a six-car train will have five motored cars, why not put one 50 kWh battery in each motored car, to give a capacity of 250 kWh. In an article in the October 2017 Edition of Modern Railways, which is entitled Celling England By The Pound, Ian Walmsley says this in relation to trains running on the Uckfield Branch, which is not very challenging. A modern EMU needs between 3 and 5 kWh per vehicle mile for this sort of service. So how far would a six-car Class 378 train go with a fully-charged 250 kWh battery? This is only a crude estimate, but it shows that fitting batteries to a Class 378 train with batteries could give a useful range. The same calculation can be performed for a three-car train created by removing the two MOS cars. The train will hold 525 passengers, who I will assume each weigh 90 Kg with baggage, bikes and buggies. This gives a fully loaded train weight of 143.3 tonnes. Using the Omni Kinetic Energy calculator gives an kinetic energy of 22.4 kWh. Unsurprisingly, the kinetic energy of the three-car train is around half that of a six-car train. As a three-car train will have two motored cars, why not put one 50 kWh battery in each motored car, to give a capacity of 100 kWh. Using the Ian Walmsley formula gives the following ranges. When you consider that the length of the Greenford Branch Line is 2.5 miles, these ranges are very useful. I would suspect that these trains will have the following specification. Dual-voltage with ability to use either 25 KVAC overhead or 750 VDC third-rail electrification. Passenger capacity of 525 passengers. So for what routes would the train be suitable? There have been various ideas for reopening the freight-only Brentford Branch Line to passenger traffic. The simplest proposal would be to run a two tph shurttle train Southwards from Southall station. As the branch is only four miles long, I believe that a three-car Class 378 train, which ran on battery-power and charged at Southall station could work the branch. I’ve already mentioned the 2.5 mile long Greenford Branch Line. The following work would need to be done before the trains could be used. Electrification of the bay platform at West Ealing with 25 KVAC overhead wires. Electrification of the bay platform at Greenford with 750 VDC third-rail. Minor lengthening of the bay platform at Greenford to allow sixty metre long trains. An extra crossover at the West Ealing end of the branch. With these modifications it might be possible to run four tph on the branch. Currently, the Romford-Upminster Line uses a single train to shuttle the three miles at a frequency of two tph. If the passing loop were to be reinstated, I believe that two trains could run a four tph service. Using battery-power on the line and charging on the existing electrification at either end of the line might be a more affordable option. It should be noted that increasing the current two x four-car tph to four x three-car tph, would be a doubling of frequency and a fifty percent increase in capacity. The West London Orbital Railway is outlined like this in Wikipedia. The West London Orbital is a proposed extension to the London Overground that makes use of a combination of existing freight and passenger lines including the Dudding Hill Line, North London Line, and the Hounslow Loop. The route runs for approximately 11 miles from West Hampstead and Hendon at the northern end to Hounslow at the Western end via Brent Cross West, Neasden, Harlesden, Old Oak Common, Acton and Brentford. This is one of those plans, which ticks a lot of boxes. The tracks are already in existence. There is a proven need. Passenger numbers would support at least four tph. The route connects to Crossrail and HS2. Changing at Old Oak Common to and from Crossrail gives a quicker route to Heathrow for many in West London. There is electrification at both ends of the route, with only four miles without any electrification. At only eleven miles, it could be run by electric trains under battery power. The cost is quoted at around £250 million. Studies show it has a benefit cost ratio of 2.2:1. As the route is now being promoted by the Mayor of London, I have a feeling this route will be created in time for the opening of HS2 in 2025. If you want to know more about the proposals, this document on the Brent Council web site, which is entitled West London Orbital Rail, was written by consultants WSP to analyse the proposals and give a cost. enhancement plans could electrify the non-electrified sections. The consultants go on to say, that stabling for diesel trains is more difficult to find in London than for electric.. The route would be suitable for Class 378 trains with batteries, but the consultants say that four-car trains will be needed. So four-car Class 378 trains with a battery capability will be needed. Alternatively, new four-car Class 710 trains, which I’m certain are built around a battery capability could be used instead. A rough estimate says that for the full service of two four tph routes will need a total of eight four-car trains. This is a much-needed route with definite possibilities. Should A Battery MOS Car Be Designed? If the Class 378 trains are lengthened to six cars, it looks like there will be a need for at least twelve new MOS cars. I wonder, if it would be better to design a new BMOS car with batteries, that could either be created from an existing MOS car or newly-built. It would be able to replace any current MOS car. It would contain the appropriate size of battery. The advantages of a compatible new BMOS car are. It would not require any modifications to the PTOS or DMOS cars, although the train software would need to be updated. It would make it possible to easily create trains with a battery option with a length of four and five cars. Could The PTOS Car Be Updated With Batteries? This could be a logical way to go, if a battery of sufficient size can be fitted in the limited space available with all the other electrical gubbins under the floor of a PTOS car. These pictures show a Class 378/2 PTOS car. Modifying only the PTOS cars would give the following advantages. Only the PTOS car would need to be modified. PTOS cars for Class 378/1 trains would be 750 VDC only. PTOS cars for Class 378/2 trains, would be dual-voltage. Only PTOS cars for Class 378/2 trains would have a pantograph. I will propose that the PTOS car is fiited a 100 kWh battery. This would be sufficient for the six-car East London Line services, as all it would do was handle the regenerative braking energy, which has a maximum value of just 45 kWh. Battery range of the train would be between three and five miles, which would be enough to recover the train if power failed. For three-car trains, the 100 kWh ranges would be as I calculated earlier. Which is a very useful range. If some four-car trains, were built by adding a new MOS car, the ranges on 100 kWh batteries would be. As the Dudding Hill Line is only four miles long with electrification at both ends, these four-car Class 378 trains would be able to work the routes of the West London Orbital Railway. Fitting batteries to Class 378 trains opens up a lot of possibilities. Forty-two six-car trains for the East and |South London Lines. Two three-car trains for the Greenford Branch Line. Two three-car trains for the Romford to Upminster Line. Eight four-car trains for the West London Orbital Railway. There would be two spare three-car trains and another twenty MOS cars would be required. The title of this post is the same as that of this article on Global Rail News. I am sure all will be good bids, but there are various factors that must be taken into account. The current rolling stock has a slightly smaller cross section than most of the UK. Although, some lines are shared with other trains like Grand Central’s InterCity 125s. As new and old rolling stock will probably have to work together, they’ll probably need to be a similar size. Modern manufacturing should handle that with ease. I suspect that new route opportunities for the Metro will involve excursions on lines with 25 KVAC overhead electrification. I doubt this is a problem these days. Some new routes would be ideal for battery power. As with dual voltage, this should not be a problem. All bidders except for the Australian/Chinese joint venture of Downer EDI/CRRC have made significant sales in the UK. Stadler is the interesting company, as they seem to be able to design bespoke trains for the local area, that seem to win bids. Class 399 tram-trains for the tram-train trial in Sheffield. Class 745 and Class 755 trains for Greater Anglia. Class 777 trains for Merseyrail. Citylink tram-trains and diesel/electric/battery tri-mode Flirts for the South Wales Metro. Trains for the Glasgow Subway. Stadler seem to have a library of standard solutions, that allows them to create smaller fleets to a slightly non-standard specification. All companies except Downer EDI/CRRC and Stadler have UK factories. I can’t see the Australian/Chinese joint venture building a factory in the UK for a £362 million contract for one order in the North East, even though CRRC would probably like to get more involved in the UK rolling stock market. 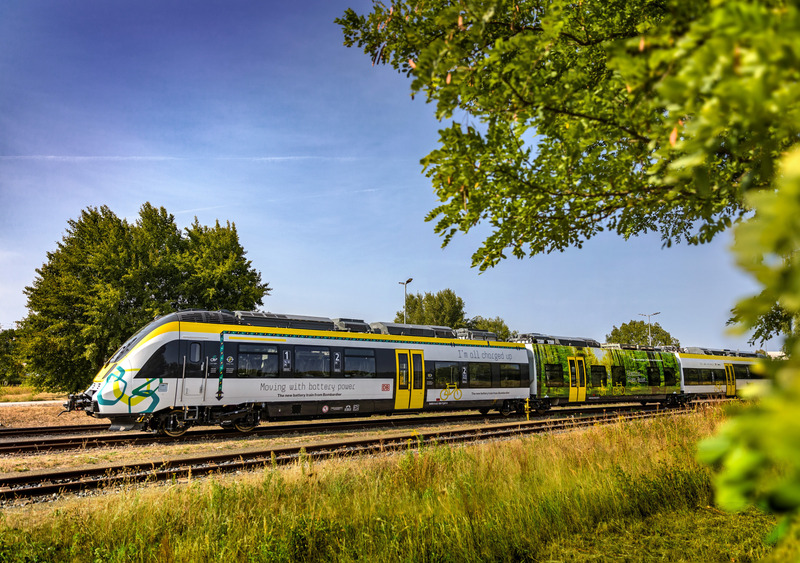 Stadler has an unusual manufacturing model, in that trains and bodies are built in factories in various parts of Europe and sometimes brought to Switzerland for final assembly and testing. I wouldn’t be surprised to see Stadler setting up a UK operation to support their increasing UK presence and perhaps do the interior fitting out for future orders. As to Stadler, I think it should be noted, that with the exception of the Glasgow Subway trains, I suspect all their UK trains are capable of being towed on much of the UK rail network. Brexit may also give Stadler, an opportunity to set up a factory outside the EU, but connected to it, by the Channel Tunnel. As I said earlier, all bids will have a high quality and reasons for winning. However, I do feel that the Downer EDI/CRRC bid may be discounted for reasons of geography and politics. I also think we should be prepared for Stadler to offer an innovative bid similar to the ones that succeeded on Merseyside and in South Wales. The title of this post, is the same as that on this article on Global Rail News. Greater Anglia said the trains’ underfloor heating and air conditioning units will do away with the need for heating vents and create more legroom for passengers. It does appear that Bombardier are trying very hard to create a more efficient and extremely passenger-friendly train. The title of this post is the same as that of this article on InsideEVs. This picture of the train is from Bombardier’s web site. Bombardier recently presented the Talent 3, which according to the press release, is the first of its kind to enter passenger operation in Europe in over 60 years. The first prototype has a range of 40 km (25 miles), but the second one scheduled for 2019 will go 100 km (62 miles) on a single charge. There’s even a nifty little video. All the features and benefits of the train are detailed. Modular batteries, so more can be added to increase range. Regenerative braking to save energy. Electric instead of diesel trains under city centres. But this is all about a Talent 3 train, that is designed to a Continental loading gauge. Wikipedia says this about the design. The Talent 3 is based on the earlier Talent and Talent 2 designs, with a wider carbody, larger doors, and a lower floor to increase capacity and improve passenger flow at station stops. Depending on the intended service pattern, the Talent 3 can be specified with either a 160 kilometres per hour (99 mph) or 200 kilometres per hour (120 mph) top speed. Talent 3 trainsets can vary in length based on customer requirements—ÖBB ordered six-car sets with a passenger capacity of 300, while Vlexx ordered three-car sets that carry up to 160 passengers. The picture and the video look like a three-car train. How Large Are The Batteries On A Talent 3? What do we know about the train? It appears to have three cars. According to this page on the Bombardier web site, the train has four batteries. A three-car Talent 3 can carry 160 passengers. My calculation is as follows. 160 passengers at 90 Kg each with baggage, bikes and buggies weigh 14.4 tonnes. I’ll assume each battery weighs a tonne. This gives a total train weight of 104.9 tonnes. At a speed of 160 kph, the Omni Kinetic Energy Calculator gives a kinetic energy of 28.8 kWh. So four batteries of 25 kWh each would be sufficient to handle the regenerative braking energy. Bombardier’s equivalent product for the UK is the Aventra, which unlike the Talent 3 is a substantially all-new design, although it does use proven technology from previous trains. It has also received six orders for a total of over 400 trains. I have always thought, that after the successful BEMU trial with a Bombardier Class 379 train, that batteries will become an important part of rail technology and they will feature in the design of the Aventra. You may think, that looking at the video, that we’ll have trouble with the UK’s small loading gauge putting the batteries on the roof of the train, but the actual size of batteries is not large and they can go underneath. I sometimes wonder, If the reason for the delay of the Class 710 trains, is that when they are successfully running, Bombardier will finally come clean in the UK, about how batteries are used on the Aventra. You wouldn’t want the trains to be unreliable, so they are making sure that all systems, including the important batteries are 100 % reliable. In Don’t Mention Electrification!, I state why I believe that the Barking Riverside Extension of the Gospel Oak to Barking Line could be built without electrification. So I’m fairly certain that the Class 710 trains are designed to run this section of the route on battery power. What this blog will eventually be about I do not know. But it will be about how I’m coping with the loss of my wife and son to cancer in recent years and how I manage with being a coeliac and recovering from a stroke. It will be about travel, sport, engineering, food, art, computers, large projects and London, that are some of the passions that fill my life. And hopefully, it will get rid of the lonely times, from which I still suffer. Why Anonymous? That’s how you feel at times. Why Are Abellio Starting Norwich-in-Ninety With Class 755 Trains?